First I started with the Simplicity Pattern 2890, which is one of the Historical patterns. From there I took it apart and decided on the format I wanted for the combination. I had already decided that I wanted the combination to be sleeveless, almost like a tank-jumper. I also made the combination so that it has a split crotch, I want to be able to go to the bathroom when I am all dolled up! The fabric I chose was a cotton gauze for how light weight the fabric is and the fact that it is super breathable. I got a nice crochet cotton lace and wove a 1/4″ cream ribbon through it in order to create a drawstring at the top and at the knees. If you take a look at the pattern I decided to keep the pants almost whole and the top waistband is actually the waistband between the tube top and the pantelets. 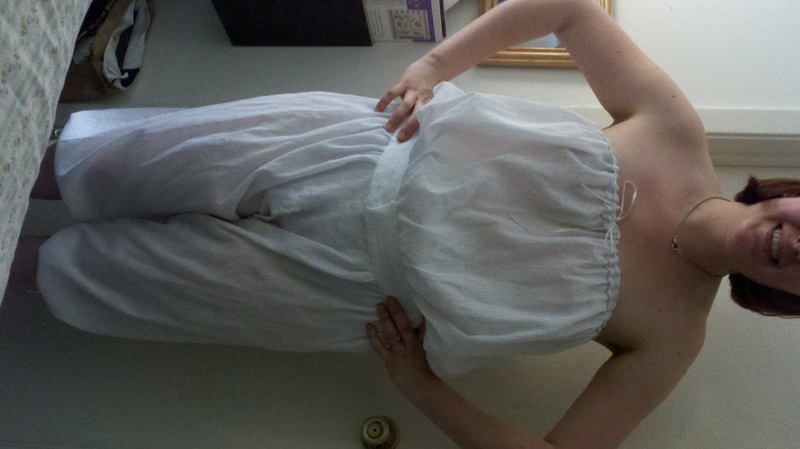 The outfit so far is very comfortable and I am very excited about how it is coming together. Edit: On Wednesday I got a few shots of the Combination without the Corset. 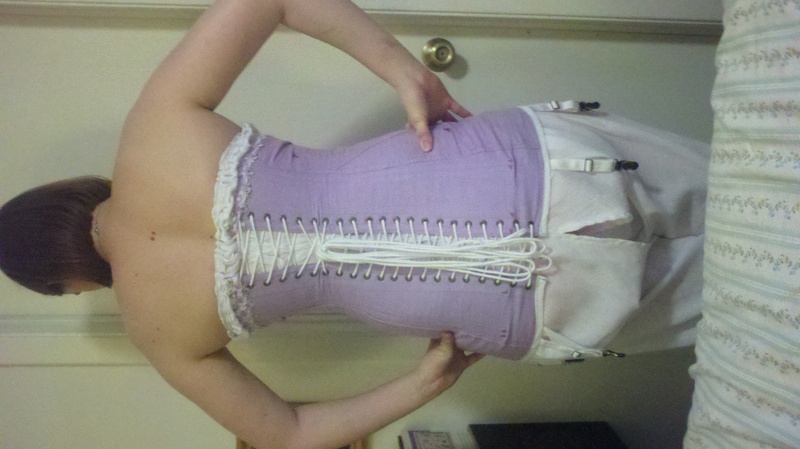 This corset cover is a combination that is connected at the waistband. The Corset Cover split can be seen a little here and the top is dropping down a bit since the corset is off.